State Sen. Rob Schaaf is a force to be reckoned with when it comes to health-care policy. But some believe that this staunch opponent of Medicaid expansion holds the key to ending the legislative impasse over it. 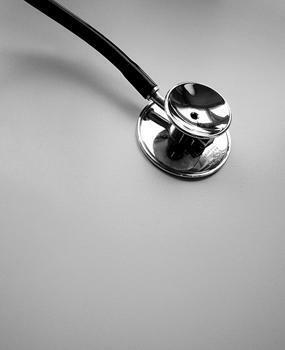 The St. Joseph Republican and family physician was a major figure throughout the 2007 overhaul of the state’s Medicaid system. He also helped derail Gov. Matt Blunt’s “Insure Missouri” plan in 2008, which would have provided subsidized insurance to poor Missourians. Since he was elected to the Senate, Schaaf has blocked a prescription drug monitoring program as well as a prescription requirement for pseudoephedrine. Some lawmakers, though, see an opportunity to revive Medicaid expansion by bringing Schaaf to the table. They point to legislation he introduced earlier this year aimed at increasing the number of health-care providers and publicizing the prices of medical procedures. That may provide the basis for some horse trading. Both, though, are strenuously opposed by the Missouri Hospital Association, a group pushing for Medicaid expansion. But legislators, such as Senate Minority Leader Jolie Justus, hospital groups may want to change their tune. Justus, though, says it’s a mistake to leave Schaaf out of the process. Under the ACA, the federal government would pay the full cost of expanding Medicaid up to 138 percent of the poverty level – with the state gradually picking up the tab up to 10 percent. Hospitals are among the biggest proponents of the expansion. They fear that if the program isn’t expanded and federal reimbursements go down, rural hospitals will go out of business. After not passing Medicaid expansion last year, legislators from both chambers held interim committees to examine the issue further. And since then, lawmakers have introduced bills to "reform" the program. For instance: State Rep. Noel Torpey’s bill would change the Medicaid program but expand it to cover more people. It's strongly supported by the Missouri Chamber of Commerce, which is also pushing for Medicaid expansion. Among other things, the bill would provide loan forgiveness to doctors who practice in “underserved areas.” It would allow doctors who graduated from medical school but haven’t done a residency to work in areas without many medical personnel. It would also prompt insurance companies and providers to give patients the cost estimates of medical procedures. Schaaf compared this idea to how Amazon.com or Travelocity work. Perhaps the bill's most controversial element changes the state's process for licensing hospitals, nursing homes or purchasing expensive medical equipment. Right now, those who want to open a new hospital or buy an expensive piece of equipment must first obtain a “certificate of need” from the Missouri Health Facilities Review Committee. While proponents say certificate of need prevents too many health-care providers from flooding a market, critics – such as Schaaf – have argued that big hospitals use it to stamp out smaller competitors. Schaaf’s proposals have always run into major opposition from hospitals, and that opposition hasn’t softened over time. But both Justus and LeVota say Schaaf's ideas may be worth considering. LeVota, a member of the Health Facilities Review Committee, said, “Some of the processes need to be refined." That doesn’t mean that LeVota wants to blow up the certificate of need process. “I do believe you have to have the oversight to make sure you don’t have specialty hospitals cherry-picking patients who can pay and then leaving everybody else behind,” he said. But if more people have insurance – either through expanded Medicaid or through the health exchanges – he said he agreed that it might be worth it to give the program a fresh look. Justus added, “As I consumer, I would like to know the difference between having my surgery done in Hospital A or Hospital B. On the flip side, I do have concerns about private companies coming and setting up strip mall gastroenterology services." Indeed, some Democrats see an opportunity with Schaaf’s bill. By incorporating Schaaf’s ideas into legislation to expand Medicaid, he might consider not talking the bill to death. When asked about this possibility, Schaaf said: “Hmmm. Well, I’d have to do an analysis.” He said he would have to weigh the costs of Medicaid expansion with how much Missouri residents would save from "changing the market." When asked how his group would react if the substance of Schaaf and Frederick's bill was included with a Medicaid expansion, Missouri Hospital Association spokesman Dave Dillon said: "We don’t know." "I can’t intelligently comment on whether anything is a deal-breaker without seeing the language of the bill. Moreover, we don’t even know what Medicaid expansion could look like in the coming weeks," Dillon said. "Our focus at this point is working through the mechanics of the reform and expansion options. Everything, including Medicaid, is hypothetical." Schaaf, though, doesn’t see the hospital industry pursuing that strategy. And even if he did change course, he noted that the Senate recently voted down a Medicaid expansion on party lines. “If I were to flip my position, I doubt that all those others would just follow me,” he added. Indeed, Justus said if "there’s six other senators who say ‘no way, no how,’ then it’s not worth” pursuing Schaaf. But, she said, keeping “the ball moving forward” makes sense. Legislators "would be foolish to ignore his concerns, especially if that really is one of the last obstacles,” she added. On the Trail, a weekly column, weaves together the intriguing threads from the world of Missouri politics. Former U.S. Sen.Kit Bond paid a visit to Jefferson City Tuesday, hoping to persuade his fellow Republicans in the Missouri House and Senate to expand Medicaid coverage to more people. Bond told a gathering of Missouri Chamber of Commerce and Industry members that he doesn't like Obamacare, and he called its rollout a "disaster." But he also said that accepting federal dollars to expand Medicaid could enable Missouri to craft its own health-care solution. Every week, St. Louis Public Radio and the Beacon's Chris McDaniel, Jo Mannies and Jason Rosenbaum talk about the week’s politics. It's another two-part edition of the podcast. Marshall Griffin joins the Politically Speaking crew to talk about Gov. Jay Nixon's State of the State speech and the latest developments involving Missouri's death penalty. 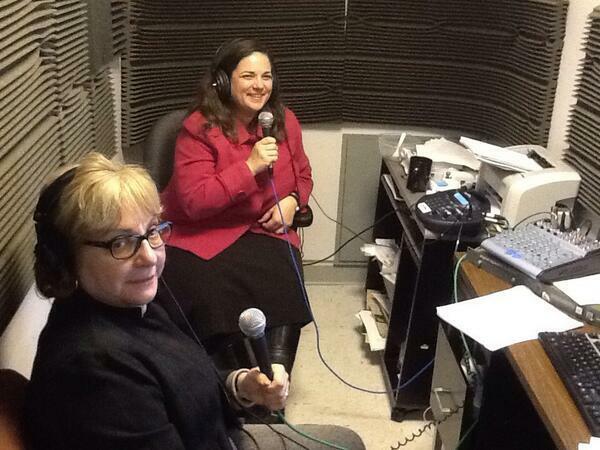 Senate Minority Leader Jolie Justus, D-Kansas City, joins Chris, Jo and Jason for the second part of the show. Discussion: What Can We Expect In The Next Session Of The Missouri Legislature? 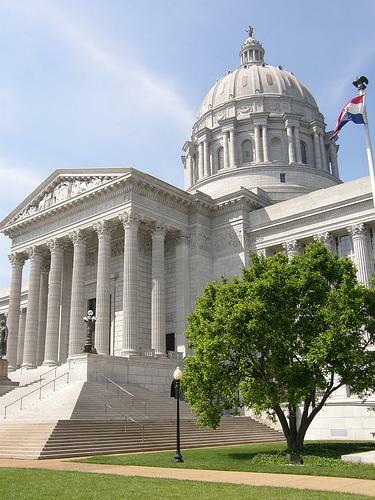 The next session of the Missouri Legislature opens Wednesday, January 8, and with it an uptick in political activity in the state. Terry Jones, Founders’ Professor of Political Science and Public Policy Administration at the University of Missouri-St. Louis joined St. Louis Public Radio and the Beacon’s Jo Mannies and Jason Rosenbaum in studio with St. Louis on the Air host Don Marsh to discuss what to expect during the 2014 session. Among the issues to keep an eye on this session will be the school transfer issue, Medicaid expansion and transportation tax. 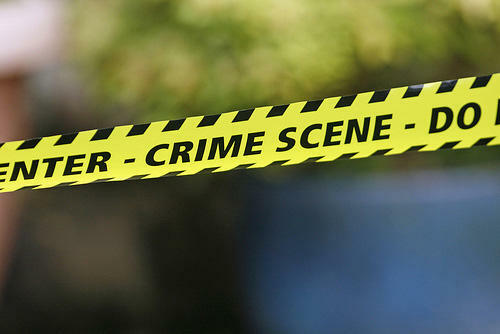 A Missouri Senate panel is beginning work on an effort to overhaul the state's criminal code. The legislation is the work of a Missouri Bar panel that began meeting five years ago to give the code its first makeover since the 1970s. The measure would create new classes of felonies and misdemeanors and give judges more flexibility in sentencing. 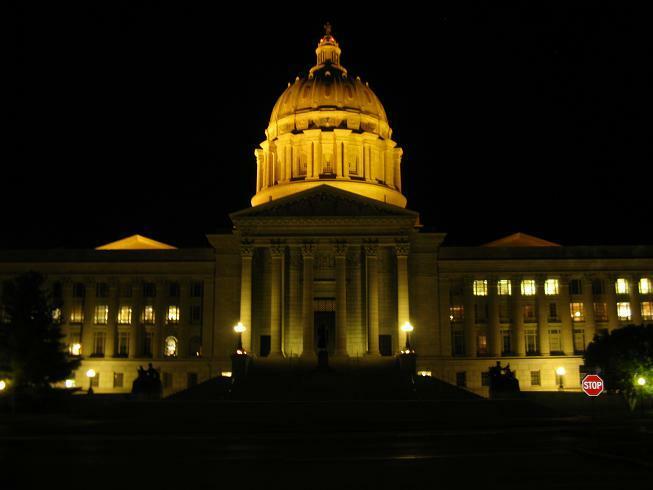 Republicans in the Missouri Senate have scaled back a proposal to cut state taxes in order to emulate tax cuts in neighboring Kansas and Oklahoma. Governor Jay Nixon (D) has strongly objected to the bill's sales tax hike, saying it would hurt the poor and elderly the most. That provision has been dropped. House Bill 253 would now cut the personal income tax rate by half a percentage point and the corporate rate by three points, and phase them both in over the next 10 years. Republican Will Kraus of Lee’s Summit is handling the measure in the Senate.